JG crystallization tank is the crystallizing equipment to make chilled water or refrigerant water in the interlayer cooled down sharply. The key point is the area of interlayer. The internal part of crystallizing tank is polished with high precision and is cleaned with no dead angle. This makes this tank meet the using requirements. Crystallization tank is classified into evaporative type, cooling type and reaction type. 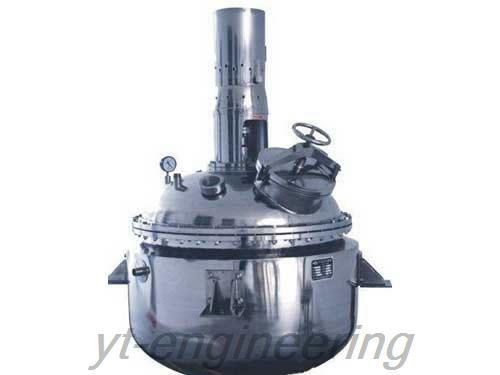 Possessing years of design and manufacturing experience, according to different technological requirements, Yutong can produce different crystallizing tanks that are in accordance with GMP standard. JG crystallization tank has the functions of stirring and blending, cooling, freezing and crystallizing materials in pharmacy industry. 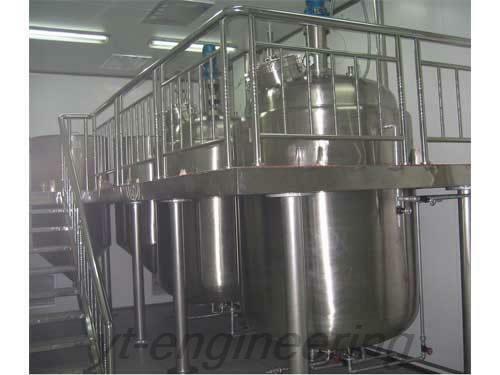 It can also be widely used in dairy products industry, food, chemical engineering and beverage industries. JG crystallization tank composes of sight glasses, cleaning ball, manhole, pressure meter, thermal meter, respirator, feed inlet, cooling water inlet, cooling water outlet, discharging outlet, etc. 1.Our crystallizing tanks use hollow ribbon type stirring structure to enlarge the heat exchange area and improve the heat exchange efficiency. This can also make feeding and discharging convenient. 2.The jacket of this crystallization tank can be filled with steam and coolant to make materials be in the optimum temperature. 3.JG crystallizing tank is installed with ventilated filter with the hydrophobicity of 0.2 μm. It is also configured with hygiene pressure meter or pressure gauge. These make the tank withstand to achieve steam sterilizing under the high temperature of 121℃. 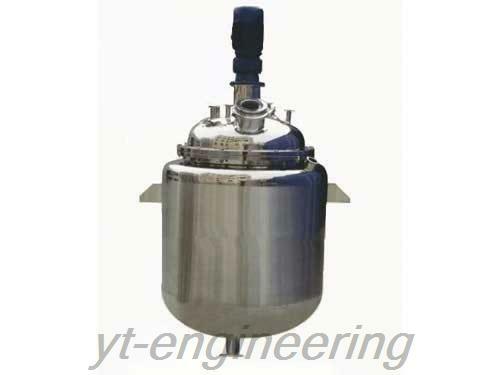 4.Yutong crystallization tank adopts special healthy mechanical seal, making material in tank free from pollution. 5.It uses stepless speed regulation device, resulting in large adjusting range of stirring axis rotated speed, even stirring and uniform crystalline. 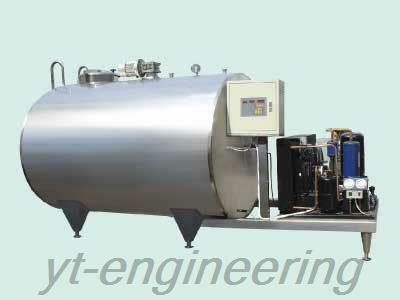 Jiangsu Yutong Drying Equipment Co., Ltd is a professional manufacturer and supplier of crystallization tanks in China. In addition to crystallizing tank, we also provide drying machine, grinding machine, granulating machine, extractor and concentrator equipment. Our company has been awarded as “AAA” enterprise by Jiangsu International Credit Assessment Company. Our crystallization tanks are highly appraised by customers worldwide.